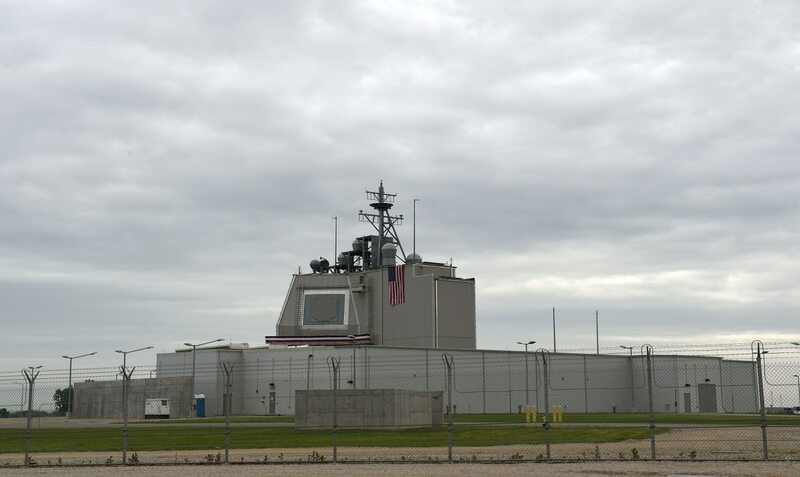 MELBOURNE, Australia ― Japan is evaluating locations to base the Aegis Ashore land-based ballistic missile defense system of which it has expressed interest in acquiring to better defend against North Korean ballistic missiles. According to the Asahi Shimbun newspaper, which quoted Japanese Defense Ministry sources, Japan is looking at placing the Aegis Ashore on two sites along the country’s western coast to give complete coverage against North Korean ballistic missiles. The newspaper reported that the sites under consideration for the northern system are either the Kamo sub-base in Oga, Akita prefecture, and the Sado sub-base in Sado, Niigata prefecture; for the system covering the southern part of Japan, either the Unishima sub-base in Tsushima or the Fukuejima sub-base in Goto, both in Nagasaki prefecture. These sites are all part of Japan’s current early-warning and ballistic missile-defense radar network operated by the Japan Air Self-Defense Force, operating a mixture of J/FPS-3, J/FPS-5 and other older radars. Discussion comes as US, international community look at all options to stop North Korea's nuclear weapons program. The Asahi Shimbun reported that Japan plans to have its Aegis Ashore systems operational by 2023, although this could be pushed forward if the regional security changes. The newspaper quoted Defense Minister Itsunori Onodera as saying that “we want to introduce the system at the earliest possible schedule”. Japan’s Defense Ministry had requested funds to prepare for the introduction of the Aegis Ashore in its budget request issued in late August, and when operational, would add another kinetic dimension to Japan’s BMD network and reduce the need for two of the Japan Maritime Self-Defense Force’s four Kongo-class destroyers to be out at sea to provide BMD coverage for the entire country. Japan is also operating PAC-3 surface-to-air missiles for defense against ballistic missiles and plans to upgrade a further two Aegis-equipped destroyers with BMD capabilities with two more destroyers due to be added to the fleet by 2021. It also plans to acquire the improved Raytheon SM-3 Block IB/IIA and PAC-3 Missile Segment Enhancement missiles. In a related development, Onodera said in a Sept. 22 news conference that he has suspended the study on Japan acquiring the capability to launch counterattacks on enemy bases on the instructions of Prime Minister Shinzo Abe. Ballistic missile defense features prominently in Japan's defense budget request, with North Korea having recently carried out ballistic missile tests that included overflight of Japanese airspace. He had previously made the suggestion in March that Japan should consider procuring long-range cruise missiles capable of striking North Korean sites should the North launch missiles targeting Japan. At the time, he was a member of the ruling Liberal Democratic Party’s security panel, and had not been made defense minister. Despite this, Corey Wallace, an Einstein postdoctoral fellow in the Graduate School of East Asian Studies at Freie Universitat in Berlin, Germany, told Defense News that he understands Japan’s Defense Ministry is still looking at the possibility of such a capability as part of Japan’s upcoming Mid-Term Defense Program and new National Defense Program Guidelines. Japan’s wartime past and pacifist constitution has meant that any move to acquire capabilities that could be used in an offensive capacity would be politically sensitive. Until now, the Japanese Self-Defense Forces have adhered strictly to an exclusively defensive force posture, depending on the mutual defense treaty with the United States to serve as the “spear” in the event of Japan being attacked. However, nuclear-armed North Korea’s increasing belligerence, improving missile capabilities, questions about the efficacy of BMD systems and fears of the Trump administration disengaging from the region has increasingly unsettled Japan, especially after North Korea conducted missile tests that flew over Japan and triggered air raid sirens.